Australia’s capacity to deliver innovative solutions to critical global health problems has been enhanced with the development of Monash University’s Biomedicine Discovery Institute (BDI) which was officially opened on Nov. 14 by Prime Minister the Hon. Malcolm Turnbull MP. Monash University’s President and Vice-Chancellor, Professor Margaret Gardner AO, welcomed Prime Minister Turnbull to the launch of the Monash BDI, which brings together a collaborative research effort of great scale that will see more than 120 world-renowned research teams, 700 on site researchers, clinical partners and industry working together. The Monash BDI will be located at Monash’s Clayton campus where it will form a key part of the innovation precinct delivering crucial economic and social benefits to Victoria and the nation. “Monash University has been Australia’s biomedical innovation leader for decades, from pioneering in-vitro fertilisation in the 1970s and developing the world’s first successful anti-flu drug in the 1980s to emerging advances in leukaemia treatment and novel therapeutics for Alzheimer’s disease,” Professor Gardner said. “With research programs spanning cancer, neuroscience, infection and immunity, cardiovascular and metabolic diseases as well as advances in stem cell research, the Monash BDI has the potential to transform millions of lives while also helping to drive economic growth,” Professor Gardner said. Director of the Monash BDI, Professor John Carroll, said that almost every medical treatment is based on great discoveries that were made many years previously. “The remit of the Monash BDI is to undertake great discovery research and decrease the time it takes to get these findings to the clinic,” Professor Carroll said. The Monash BDI addresses the needs of the six main global health problems: cancer; cardiovascular disease; development and stem cells; infection and immunity; metabolic disease and obesity; and neuroscience. “More than 120 interdisciplinary research teams work synergistically across disease areas to bring expertise from immunology together with experts in cancer or diabetes. This allows us to discover new approaches to identifying the next generation of therapeutic medicines,” Professor Carroll said. Professor Christina Mitchell, Dean of Medicine, Nursing and Health Sciences at Monash, pointed to the benefit of establishing the Monash BDI in Victoria. “The Monash BDI provides us with a new way to align our research, from fundamental discovery right through translation to the clinic, in one of the fastest growing population corridors in the country,” Professor Mitchell said. Professor Carroll said the Monash BDI currently has research income of more than $50 million, with $14 million coming from industry partners. With over 700 researchers, more than 200 international research collaborators and around 270 PhD students, the Monash BDI is one of the largest and most comprehensive medical research institutes in the Southern Hemisphere. Find out more about research opportunities at Monash University. Contact OzTREKK Admissions Officer Shannon Tilston at shannon@oztrekk.com or call toll free in Canada 1-866-698-7355. Science graduates rank well in earnings potential according to a new Australian Graduate Survey conducted by Graduate Careers Australia. Latest data identifies that science graduates, especially Mathematics majors, earn more than many other graduates. Science Industry Placement Program (SIPP): Monash Science has a voluntary industry placement program to support students in gaining invaluable industry based experience. The SIPP program provides practical, hands-on skills in the workplace, as well as the opportunity to develop relationships with potential employers and add sought-after skills to CVs. Science Careers Advice and Transition Program: Monash Science has the only faculty-based Careers Education Consultant who provides individual career counselling and job seeking support for science students, develops and implements career education programs such as Science Industry Week, and works to increase the employment outcomes for Monash science students. Science Student Ambassador Program: Enables students to get involved and gain valuable experience representing the Monash Faculty of Science at a variety of events including Open Day, information evenings and school visits. They also represent the faculty through social media management and marketing activities. Peer Assisted Study Sessions (PASS): An academic mentoring program, usually aimed at first-year students transitioning from high school to university. The study session are led by senior students and provide support and guidance for first-year science students. Study support Programs: Offered to help science students when they need it most. Sessions are “drop in” and tutors are available to provide advice or support with challenging assignments or subject related, specific questions. Science Peer Mentoring Program: Newly enrolled first-year undergraduate students are paired with students in their second (or higher) year of university to assist the first-year students settle into university life. They can act as guides, helping to answer questions and advise first-year students. Science Future Leaders Program: Designed to identify and cultivate the science leaders of the future. Activities include a residential program, a series of leadership seminars and workshops, and the opportunity to practice leadership within the university. Science Study Abroad Opportunities: Provides the opportunity to complete internships and work placements overseas. Study at an overseas campus of Monash University is also possible as an Intercampus Exchange student. Clubs and societies: Monash offers more than 100 student-run clubs and societies that include activities, events, competitions, productions, get-togethers, seminars, camps and conferences. A fantastic way to meet other students and enjoy social activities enhancing the experience of university life. Do you think you may be interested in studying science at Monash University? Contact OzTREKK Admissions Officer Shannon Tilston at shannon@oztrekk.com or call toll free 1-866-698-7355. 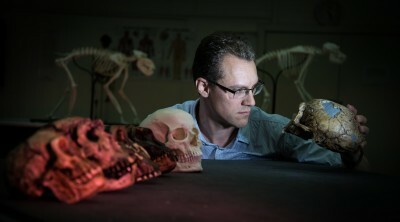 Monash University-led research has shown that the evolution of human teeth is much simpler than previously thought, and that we can predict the sizes of teeth missing from human fossils and those of our extinct close relatives (hominins). A new study published recently in the journal Nature, led by evolutionary biologist Dr Alistair Evans from Monash University, took a fresh look at the teeth of humans and fossil hominins. The research confirms that molars, including wisdom teeth, do follow the sizes predicted by what is called ‘the inhibitory cascade’—a rule that shows how the size of one tooth affects the size of the tooth next to it. This is important because it indicates that human evolution was a lot simpler than scientists had previously thought. Dr Alistair Evans explains how our fascination with where we come from, and what our fossil ancestors were like, has fuelled our search for new fossils and how we can interpret them. “Teeth can tell us a lot about the lives of our ancestors, and how they evolved over the last seven million years. What makes modern humans different from our fossil relatives? Palaeontologists have worked for decades to interpret these fossils, and looked for new ways to extract more information from teeth,” Dr Evans said. Dr Evans, a research associate at Museum Victoria, discussed how this new research has challenged the accepted view that there was a lot of variation in how teeth evolved in our closest relatives. “Our new study shows that the pattern is a lot simpler than we first thought—human evolution was much more limited,” Dr Evans said. Dr Evans led an international team of anthropologists and developmental biologists from Finland, USA, UK and Germany, using a new extensive database on fossil hominins and modern humans collected over several decades, as well as high resolution 3D imaging to see inside the fossil teeth. The team then took the research a step further by applying the findings to two main groups of hominins: the species in the genus Homo (like us and Neanderthals), and australopiths, including specimens like Lucy, the famous fossil hominin from Africa. Dr Evans explained that while it was discovered that both groups follow the inhibitory cascade, they do so slightly differently. “There seems to be a key difference between the two groups of hominins, perhaps one of the things that defines our genus, Homo,” the Monash University biologist said. Another author on the Nature paper was Professor Grant Townsend from the University of Adelaide’s School of Dentistry. The study examined teeth of modern humans, including those in one of the world’s largest collections of dental casts housed at the Adelaide Dental Hospital. ”These collections of dental casts are critical to finding our place in the hominin evolutionary tree, and advancing knowledge in the oral health of Australians,” said Professor Townsend. The findings of the study will be very useful in interpreting new hominin fossil finds, and looking at what the real drivers of human evolution were. As well as shedding new light on our evolutionary past, this simple rule provides clues about how we may evolve into the future. Would you like more information about studying biological sciences at Monash University? Contact OzTREKK Admissions Officer Shannon Tilston at shannon@oztrekk.com or call toll free in Canada at 1-866-698-7355. Eight Monash University researchers have been awarded Australian Research Council (ARC) Future Fellowships, providing $6.1m in funding to support their research. This is the strongest performance of any Australian university. The prestigious four-year fellowships are aimed at increasing research activity in areas of national significance. Special consideration is given to applicants with demonstrated ability to collaborate with industry and other research institutions. The Monash fellows include Dr Michelle Dunstone (Department of Biochemistry and Molecular Biology), who is researching the Membrane Attack Complex (MAC). MAC is a large hole-punching protein complex used by the human immune system to target invasive bacteria and parasites. Dr Dunstone’s research aims to explore how the MAC inserts into cells in real time. Dr Keyne Monro’s (Monash School of Biological Sciences) research aims to determine whether evolutionary responses can protect marine populations against environmental changes. The focus of Dr Juile Kalman (School of Philosophical, Historical and International Studies) is on the role of Sephardic Jewish traders in colonial systems, which will transform the history of Western imperialism in the Mediterranean. Dr Matthew Piper (School of Biological Sciences) will use novel genomics techniques to determine how organisms use nutrition to enhance fitness. The research will contribute significantly to existing knowledge of fundamental nutritional biochemistry. ‘Measuring the mind: A framework for building a consciousness meter’ is Professor Tim Bayne’s study. Professor Bayne aims to develop a new framework to measure consciousness; a project that will have numerous applications in science and ethics discussions. The School of Physics and Astronomy’s Dr Eric Thrane has received a fellowship for his innovative research into gravitational waves. Dr Thrane aims to detect ripples in the fabric of spacetime using new data analysis techniques. Dr Agustin Schiffrin (School of Physics and Astronomy) will synthesise and characterise low-dimensional organic nanostructures. ‘Engineering novel two-dimensional materials for optoelectronic applications’, Dr Qiaoliang Bao’s study, will enable many technology innovations and enhance Australia’s productivity in engineering and manufacturing. Provost and Senior Vice-President Professor Edwina Cornish said the university’s success is reflective of its focus on collaboration, innovation and research excellence. “The Future Fellows are from diverse fields of study and several have already worked extensively in international institutions. Collaboration, diversity and research excellence are core priorities of Monash University, and are an important part of the Future Fellowships criteria,” Professor Cornish said. “The university is extremely proud of our Monash Future Fellows. Their valuable research will contribute significantly to their respective areas, both locally and globally,” she said. Would you like more information about studying science at Monash University? Contact OzTREKK Admissions Officer Shannon Tilston at shannon@oztrekk.com or call toll free in Canada 1-866-698-7355. In recognition of the importance of genomics to the translation of brain sciences from the laboratory to the clinic, Monash University has provided a $1-million kick-start to the Monash Institute for Cognitive and Clinical Neurosciences (MICCN). At the recent launch of the MICCN, Professor Edwina Cornish, Provost and Senior Vice-President of Monash University announced the funding. According to Professor Cornish, the application of “genomics” to human diseases, disorders and traits including brain structure and function is a rapidly developing area of science, spurred on in large part by technical advances that now allow us to interrogate the human genome at an unprecedented level of precision to interrogate large human databases. “Monash University is extremely pleased to provide support of $1 million in recognition that the establishment of MICCN will respond to the critical need for industry and clinically relevant research that will improve the health and well-being of millions of Australians who face significant life challenges due to brain disorders,” Professor Edwina Cornish said. According to Professor Kim Cornish, the Director of the MICCN, genomics will play a key role in deciphering ways to fix the broken brain. “It has been a strategic decision to use precision medicine via genomics with state-of-the-art, next-generation sequencing capability. In this way we can home in on the molecular signatures of brain development, plasticity and repair,” she said. “By expanding into genomics the MICCN will leverage off large available biobanks at Monash for ADHD, autism and a range of other complex disorders,” Professor Kim Cornish said. Would you like more information about studying science at Monash University? Contact OzTREKK Admissions Officer Rachel Brady to learn more about science degrees at Australian universities! Email Rachel at rachel@oztrekk.com or call 1-866-698-7355. Sept. 15 marked the opening of the new Monash Earth Sciences Garden at the university’s Clayton Campus in Melbourne; the first of its kind in Australia and the most comprehensive worldwide. Inspired by the geology and physical geography of Victoria, Australia, this ‘living’ geological map comprises a stunning arrangement of nearly 500 rock specimens, weighing up to 14 tons, laid out to represent a pattern of rock outcrops and set amongst beautiful native plants representing each geographical region. Monash University’s Head of School, Earth, Atmosphere and Environment, Professor Sandy Cruden, who was part of the team of earth scientists who developed the Monash Earth Sciences Garden concept, said the Monash Earth Sciences Garden establishes a brand new, hands-on approach to teaching geology, physical geography and atmospheric sciences. “The Earth Sciences textbook is brought to life by this dynamic outdoor classroom which offers a practical approach to learning field measurement and mapping techniques, and rock and mineral recognition skills. It reflects the Faculty of Science’s wider approach to teaching science in more innovative and engaging ways,” Professor Cruden said. Officially opening the Monash Earth Sciences Garden, Director of the Geological Survey of Victoria Paul McDonald welcomed the innovative new teaching resource and what it means in training future geologists. Aimed primarily at undergraduate students as well as secondary and high school students, the 120 by 30 metre Monash Earth Sciences Garden also provides a beautiful relaxation space for students and visitors. 125-million-year-old Cretaceous sandstone from the Otway Ranges, where significant dinosaur fossils have been found and continue to be studied at Monash University. These dinosaur and early mammal remains are from creatures that lived near the South Pole in a large, forested river system that developed as Australia and Antarctica began to break apart, offering unique insights into life on a significantly warmer Earth. An important dinosaur fossil, Noddy, will be displayed for photography and filming purposes at the launch and palaeontologists will be on hand for interviews. Large black volcanic ‘bombs’—approximately 1 metre in diameter—from an 8,000-year-old volcano near Colac. This volcano is located in the Newer Volcanics Province (NVP), which stretches from Melbourne’s CBD to Mount Gambier in South Australia and contains at least 437 volcanoes ranging in age from 8 million years to just 5,000 years, some of which are still considered to be active. The basalt lava that erupted from these volcanoes forms an integral part of Victoria’s rich historical heritage as the rock, commonly called bluestone, is used extensively in building, paving and roads. Dramatic basalt columns similar to those located within the Organ Pipes National Park (near Calder Racetrack). These represent lava flows from the NVP volcanoes, which filled in valleys and created western Victoria’s flat landscape. Spectacular 400-million-year-old limestone from Buchan in eastern Victoria, comprising fossils of marine creatures that were building reef systems in tropical seas when Victoria straddled the Equator. Folded rocks and quartz veins representing the geology of the Victorian Goldfields. The abundant gold in Victoria made Melbourne the richest city in the world for a while, and provided the foundation for growing the world’s most liveable city. A seasonally dry, mud billabong that reflects the semi-dry south-eastern Australian climate. The billabong fills with water during wet weather and naturally dries up at other times, forming large mud cracks. This enables students to study how present day events may be recorded and traced back through geological time. Do you think you may be interested in studying science at Monash University? Contact OzTREKK Admissions Officer Rachel Brady at rachel@oztrekk.com or call toll free 1-866-698-7355. Find out how you can study in Australia! A promising type of vaccine designed to eradicate malaria by blocking parasite transmission could be a step closer, as a result of experts uncovering new information about the targeted protein. The international team of researchers co-led by Dr Natalie Borg from the Department Biochemistry and Molecular Biology at Monash University, and Dr Rhoel Dinglasan from the Malaria Research Institute at the Johns Hopkins Bloomberg School of Public Health in Baltimore, USA, focused on a protein in the Anopheles mosquito midgut called AnAPN1. The Department of Biochemistry and Molecular Biology is one of six departments in the School of Biomedical Sciences. Biochemistry and molecular biology are closely-related disciplines which study the chemical components of living cells, including the genetic material, in order to understand biological processes and how these are altered in disease. Research and teaching in the department encompasses six broad themes: cell biology, signal transduction, host/pathogen interaction, structural biology, immunology and developmental biology. Monash’s research is highly relevant to major human diseases and pathological processes, including infection, inflammation, diabetes and obesity, developmental and degenerative disorders, cardiovascular disease, and cancer. The Department has been ranked as the premier Department in its discipline since the inception of ARC benchmarking of Australian Departments in 1998. Would you like more information about studying biochemistry and molecular biology at Monash University? Contact OzTREKK Admissions Officer Rachel Brady to find out about science degrees at Australian universities! Email Rachel at rachel@oztrekk.com or call toll free 1-866-698-7355. Monash University-led research has shown for the first time that low vitamin D levels are associated with higher disease activity in Australian lupus patients. Published recently in Lupus Science & Medicine, lead researcher Dr Kristy Yap, from the Centre for Inflammatory Diseases in the School of Clinical Sciences reported her findings in the first study to examine systematic lupus erythematosus (SLE) disease in the Southern Hemisphere. Low on vitamin D? Get outside in the sunshine! SLE, also known as lupus, is a severe, incurable and debilitating multisystem autoimmune disease. It is the most common autoimmune disease, affecting at least five million people worldwide, and is predominantly diagnosed in young women. The longitudinal study examined the disease activity and vitamin D levels of lupus patients who attended the Monash Medical Centre Lupus Clinic between 2007 and 2013. “We found a high prevalence of vitamin D deficiency in our cohort,” said Dr Yap. Demonstrating an inverse association between vitamin D levels and lupus disease activity, the research shows that increasing vitamin D levels correlates with lower disease activity in lupus patients. Dr Alberta Hoi, Head of the Monash Lupus Clinic and chief investigator in the Lupus and Arthritis Research Group, said future studies should include randomised trials which focus on the clinical effect of vitamin D supplementation in lupus. The Monash University Medical School’s graduate-entry degree emphasizes clinical communication skills and early clinical contact visits to medical practices, community care facilities and hospitals. With a focus on rural health, all student teaching and clinical placements take place throughout Gippsland. Students will predominantly spend the first year in the purpose-built Gippsland facility and undertake clinical rotations at hospitals, community health centres and general practices over the four years of the course. Apply to Monash Medical School’s graduate-entry MBBS! Find out more about the MBBS program at Monash University Medical School. Contact OzTREKK Australian Medical Schools Admissions Officer Sarah Bridson at sarah@oztrekk.com or call toll free in Canada at 1-866-698-7355. In the only place on the planet where a new ocean plate is still forming, scientists are learning more about the forces that reshape Earth. The Red Sea is pushing the African and the Arabian continental plates away from each other, and will eventually split these landmasses, which are still joined in the northern Red Sea. Tectonics specialist Associate Professor Peter Betts from Monash University said there was still little understanding of the origins of new oceans. “We know how the planet reconfigures itself over time and what happens when ocean and continental plates start colliding,” Associate Professor Betts said. The latest discoveries to emerge from a collaboration between Associate Professor Betts, Monash University colleague Dr Laurent Ailleres and Dr Khalid Almalki (now with the King Abdulaziz City for Science and Technology in Saudi Arabia) have overturned conventional thinking about ocean birthing. Rather than the single-stage rift theory, which suggests one continuous zipper-like opening of the ocean floor from which new ocean crust is formed, the researchers think a new ocean crust may happen in stages, not through a single “unzipping” event. They have identified several different volcanic cells beneath the Red Sea, which are becoming active sequentially. This dyking is a build-up of magma that precedes the splitting of the Earth’s mantle to form a new ocean ridge from which the magma will flow to form ocean crust. In July 2014, the new Monash University School of Earth, Atmosphere and Environment was formed, bringing together the former School of Geosciences (Faculty of Science), atmospheric science (School of Mathematics) and physical geography (Faculty of Arts). It creates a critical mass, an Australian powerhouse of earth sciences education and research. The innovation is a response to an emerging demand for Monash’s talented teachers and researchers to foster its collaborative ties within its earth sciences sciences. It will build up the foundations of a stimulating, information-rich environment for students, across disciplines. Monash University‘s reputation in environmental sciences is on an upward trajectory with geography currently ranked number one within the Group of Eight research-intensive universities. Contact OzTREKK Admissions Officer Rachel Brady to find out about earth sciences degrees available at Monash University and about how you can study in Australia! Email Rachel at rachel@oztrekk.com or call toll free at 1-866-698-7355.